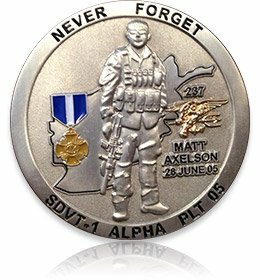 Matthew Axelson Foundation Home – Live with a full heart. Matt’s love for his family was demonstrated in his final words to Marcus, “Tell Cindy I love her.” His love for his Brothers in Arms was demonstrated in the words he wrote on the back of a picture after SEAL BUDs graduation, “But within the willingness to die for family and home something inside us longs for someone to die beside… Someone to lock step with. Another man with a heart like our own.” His love for life was demonstrated in the way he lived every day, strong, true, and with a full heart. Cindy and I plan to make this foundation’s actions a true reflection of what my brother held closest to his heart… Family, Friends, Country, and God. For without any one of those he would not have been the man he was. Matt and I grew up within a very tight group of family and friends. Overtime our friends became blood to us. During our lives we always sought to surround ourselves with people who would not only support us, but who would challenge us. Keeping us out of our comfort zone, pushing our boundaries of both body and mind daily. As we challenged each other throughout our days we never lost sight of how important it is to have a comfort zone to regress to, a place to recover and replenish an adventurous spirit. A place to find the encouragement we all need to continue the journey of life, in full, the very next day. We are looking forward to working with you all to bring a piece of that spirit Matt lived with to life again, and use the strength of his life to both challenge us and rejuvenate us so all who we get to share this experience of life with will find it fuller in heart, friendship, and family.